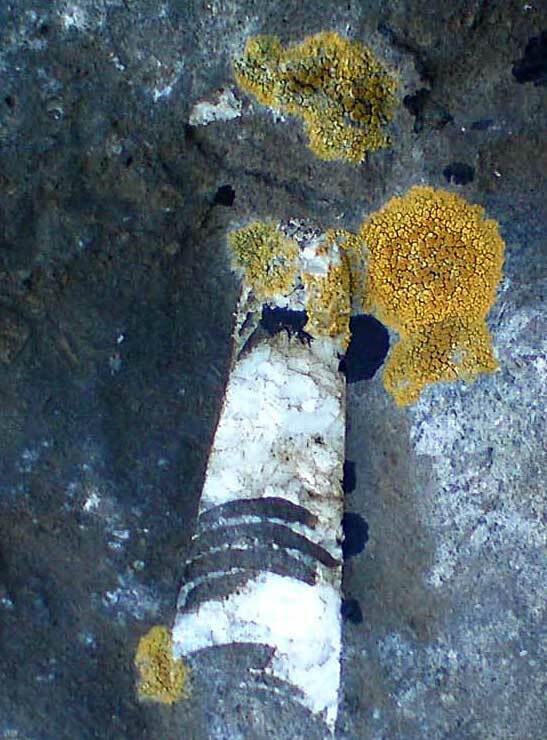 This posting shows seven fossils found beach combing in the Aran Islands off the west coast of Ireland. 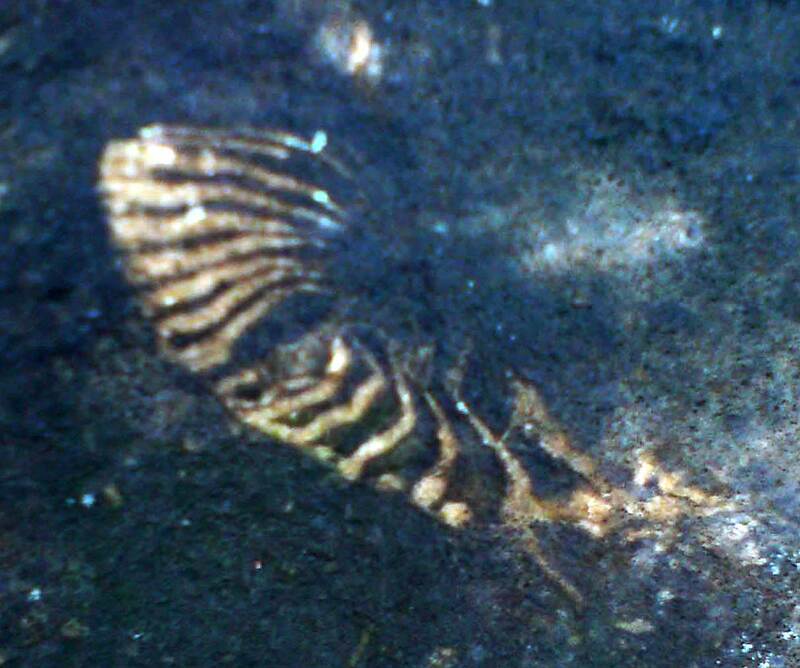 Thanks to Vincent Coleman for sending images of fossils he has been finding there. 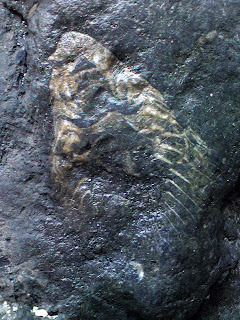 The lead off image is straight shelled cephalopod fossils showing the growth chambers. I really like the green-olive color lichens contrasting the rock color. The next three pictures are of coral fossils. More than likely some sort of horn corals. 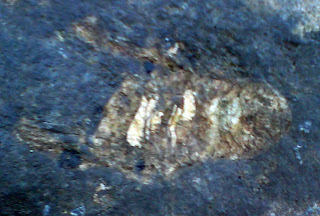 I have been told these fossils are from the Mississippian period (Carboniferous). The following image is of the most interesting fossil. 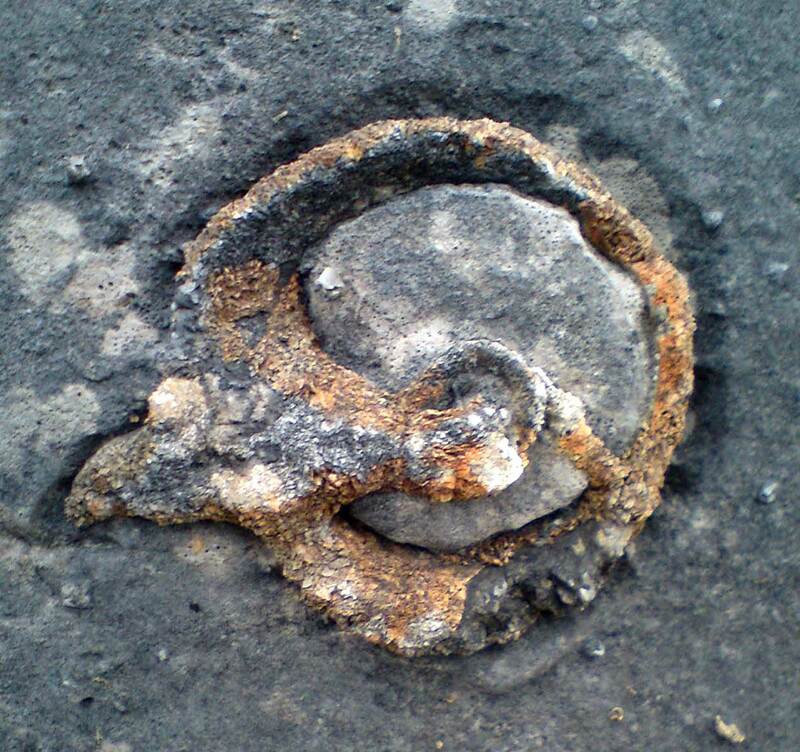 Is it some sort of early vertebrate creature like a Phlegethontia or Lysorophian? 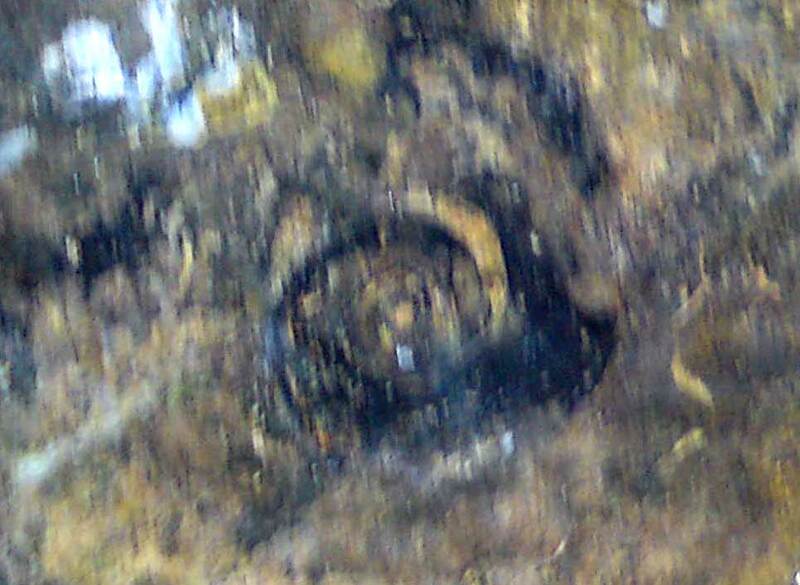 It could also be the cross section of a horn coral or just pseudo fossil shape. Next picture might be part of an eroded crinoid calyx. 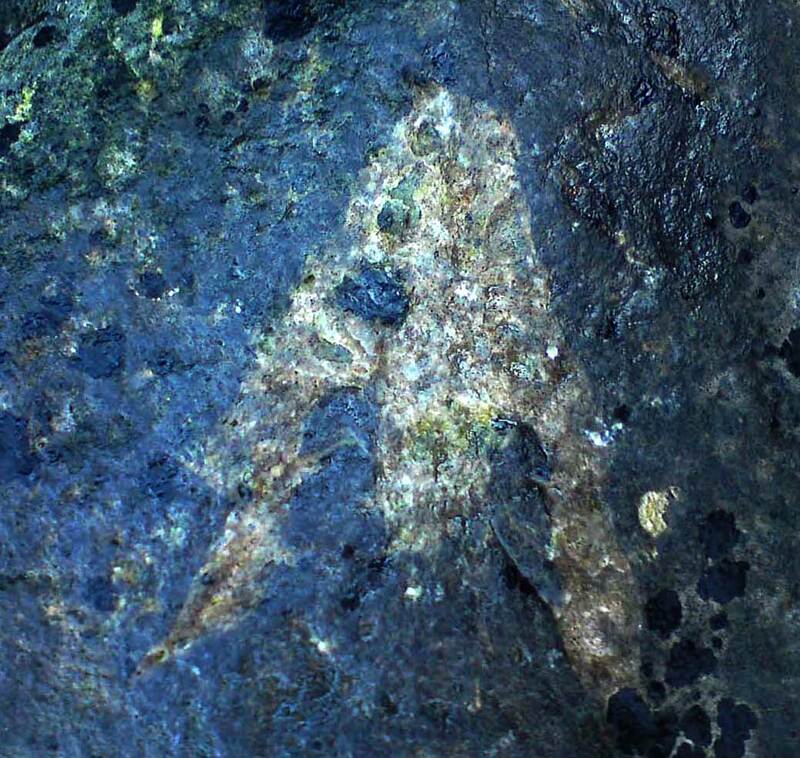 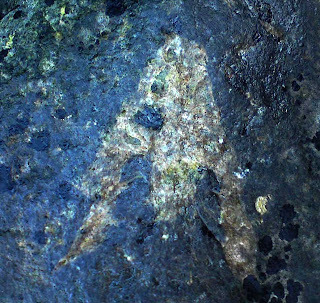 Last image is a fossil that was covered by the Atlantic Ocean when taken. 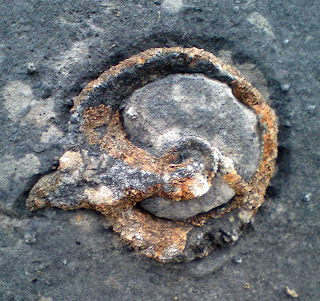 It is spiraled form of maybe a cephalopod or gastropod.